Pineapple is delicious and offers so many health benefits. It is beneficial because it contains vitamins and minerals, such as copper, potassium, manganese, calcium, vitamin C, thiamin, beta-carotene, and folate. It is also a great source of soluble and insoluble fiber. However, pineapple can be painful as well, especially if you overeat. But why? Some people believe it could be because they are allergic to pineapple, others believe they feel that burning sensation because pineapple contains citric acid. Let's find out the answer. You may feel that burning sensation because of an enzyme in pineapple called bromelain. This enzyme helps your body digest protein. While bromelain is beneficial for your health, mainly because of its anti-inflammatory properties, it causes the tissue to become inflamed and sore when breaking down protein in your mouth. However, there could be other causes as well. Sometimes, your mouth hurts because you have an underlying condition such as oral allergy syndrome or burning mouth syndrome. If you have this problem, you will experience unpleasant feelings in your mouth, including numbness, rawness, burning, and stinging. You may even experience bleeding on your tongue, lips, or cheeks. You usually experience these symptoms soon after you eat fresh pineapple core or flesh. No treatment is needed though. You actually experience this problem mainly because pineapple contains bromelain that breaks down protein in your mouth. It removes the molecules on the cells, and leaves your mouth feeling numb and raw. The condition usually affects post-menopausal women and people who have damaged nerves in the tongue. Sometimes, you experience pain throughout the day, but sometimes, certain foods, like pineapple trigger symptoms. Why does pineapple hurt my mouth? It could be because you have pineapple allergy, which is rare but possible. You are more likely to have oral allergy syndrome if after eating pineapple your mouth feels numb and you have other symptoms, such as hives, rashes, diarrhea, dizziness, nausea, swollen tongue, shortness of breath, and wheezing. You should seek immediate medical help. 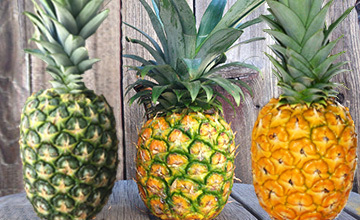 People who are allergic to latex are more likely to develop pineapple allergies as well. That is mainly because proteins in pineapple and many other fruits, such as bananas and melons can cause cross-reactions in people who are allergic to latex. Even when you have oral allergy syndrome, you usually do not have to avoid pineapple completely. You just avoid eating it fresh; you can consume the pineapple cooked. Its protein structure changes during cooking, making it easy for your immune system to handle. How Can You Avoid That Burn from Eating Pineapple? Why does pineapple hurt my mouth? Bromelain is usually the reason why you have a burning sensation after eating too much pineapple. The thing is that bromelain is present in the stem of the fruit. If you avoid it and do not consume fresh pineapple, you are less likely to deal with mouth numbness. You can also avoid experiencing those unpleasant affects by eating fully ripened pineapples. The best ones are with a strong aroma and golden color. Leave a pineapple upside-down for several days if its peel still looks green. Eat it when it turns golden or yellow. Moreover, you can eat canned pineapple because the canning process eliminates most of bromelain. Prepare a large bowl of water then add in a tsp. of salt. Wait till the salt is fully dissolved then place the slices of pineapple into the solution. Salt can help to neutralize the high pH of pineapple and lessen its acidity thus preventing that burning sensation when you eat. Rinse the pineapple slices with clean water before eating if you need to control salt intake. Your tongue can tolerate a small amount of acid. But if you overeat, the acid will burn the tongue tissue and cause irritation. 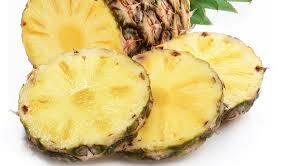 Divide your pineapple slices into different parts and eat just one part at a time to avoid irritation. Why does pineapple hurt my mouth? Perhaps it's because you've got a sensitive tongue. You can eat your pineapple with something else, such as yogurt dip, to protect your tongue. You can make a fruit dip by mixing equal parts of yogurt and whipped cream to enhance the flavor of pineapple and avoid irritation at the same time. You may not be able to tolerate pineapple very well if you already have gastroesophageal reflux disease (GERD). It happens because you already have too much acid in your stomach and pineapple is only going to add to that acidity level. This aggravates your condition and makes the reflux more intense. It is important to understand that everyone with GERD can tolerate a different amount of pineapple. Your doctor can help you in this regard. Sometimes, you may have to eliminate pineapple from your diet to prevent the issue.